Types of Fossils – Bonus Round! Welcome to this sneaky bonus from our “Types of Fossils” series. Over the last few weeks all the fossils types we have looked at have been about the different ways the creatures became fossilised. This week is not so much about how they became fossilised, but the actual thing itself, and what it is. In fact, they can be mould, cast, petrified or permineralized fossils, but they all have one thing in common – they don’t really exist! 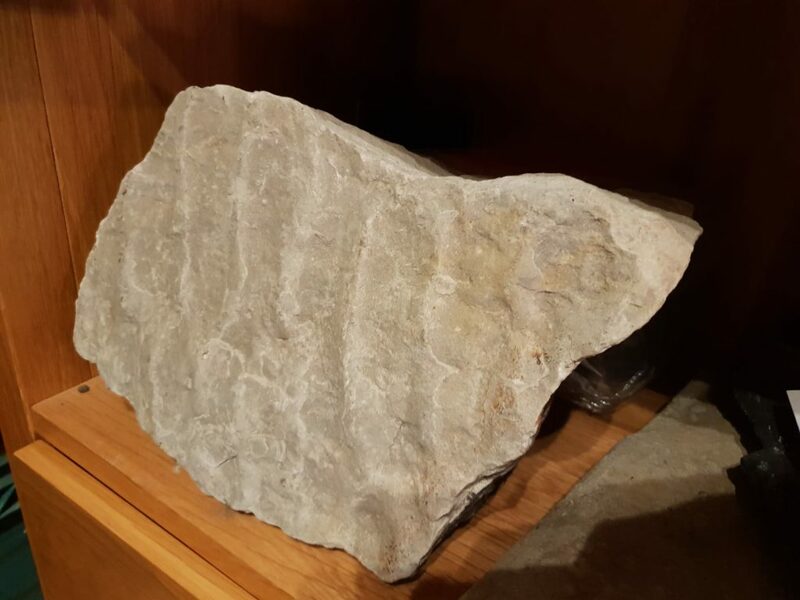 I am talking about what are known as trace fossils. These are fossils that are traces of plants or animals, but not part of the actual plant or animal itself. They can be footprints, coprolite (fossil poo! ), water ripples, worm tunnels, trackways, and even the space around where roots and trees once were. These all are not part of the actual animal but are all able to be fossilised. Footprints are left by animals (like dinosaurs) and can become both cast and mould fossils when they get covered up by sediment. 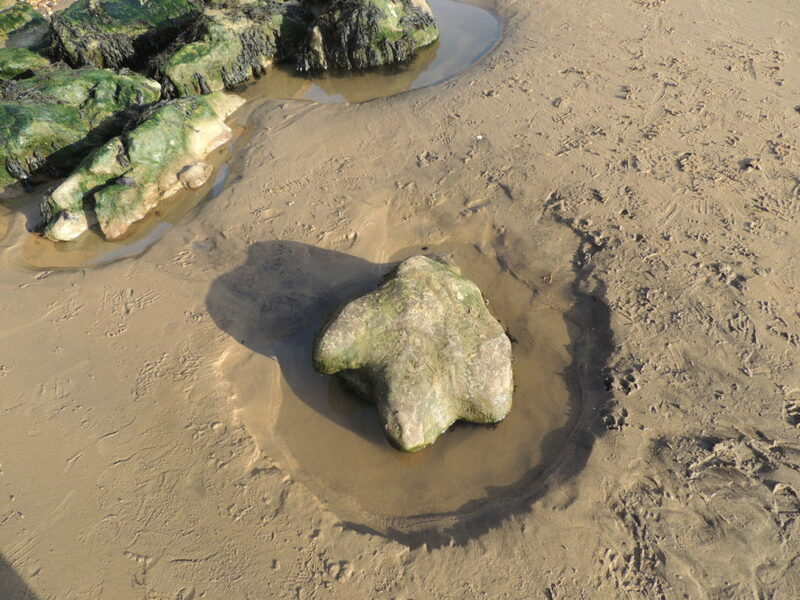 Iguanodon Dinosaur footprint cast from the Isle of Wight, UK. Dung is left by animals, and can become petrified if it is buried in the right conditions, and with the right process. Water ripples are left over after water runs over sediment. If this sediment solidifies and turns into rock, the ripples become cast fossils. Worm tunnels are left as small creatures move through soft sediment. If these get infilled with a slightly different sediment, then you have a mould fossil. Trackways from various animals, including invertebrates, birds and mammals, often solidify in the soft sediment they were created in, becoming cast fossils. 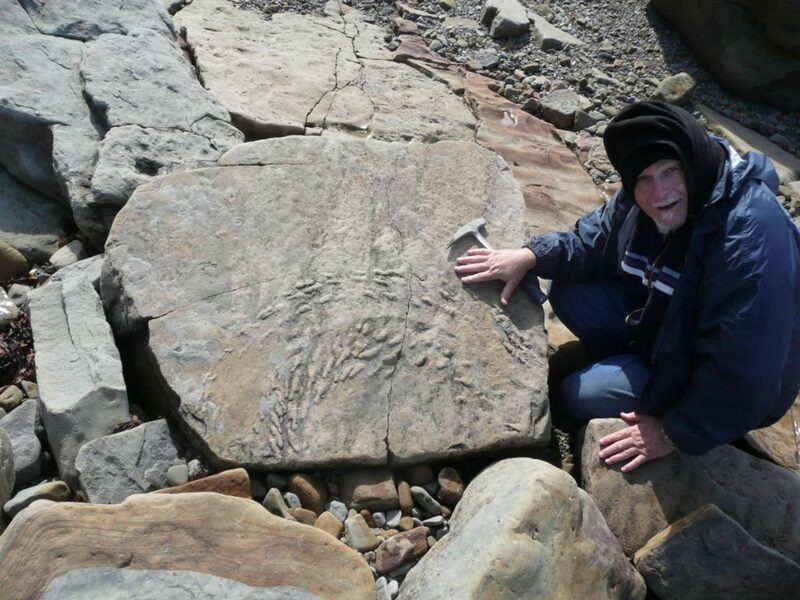 Giant centipede trackway found in Canada by John Mackay (pictured). 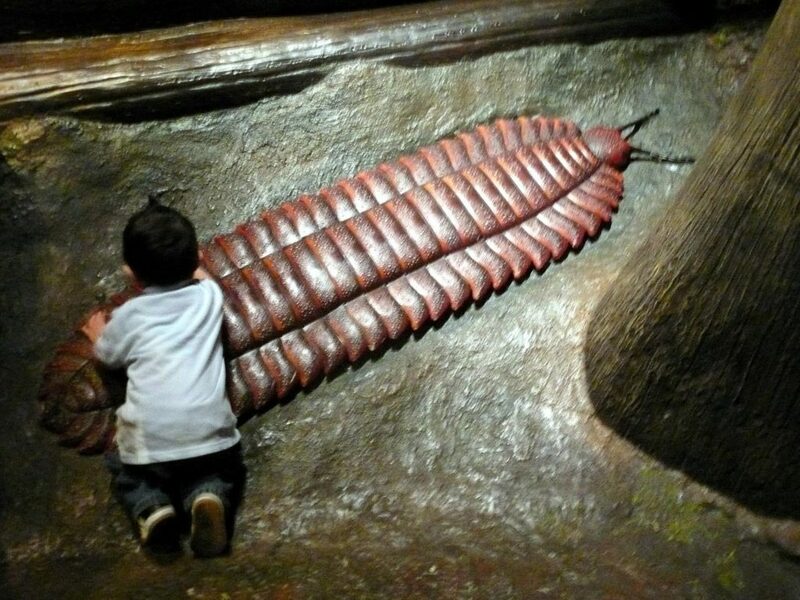 Model of the giant centipede that made the tracks above. These are considered fossils, because they are evidence of things that happened in the past, and a record of the ecosystems that existed. They are extremely useful for interpreting the past in ways we could not do otherwise. For instance, coprolite can tell us what dinosaurs were eating, ripples can show us the extent of the sea in the past, and trackways can tell us how creatures walked and moved, as well as exactly how big some were! So there you go! A little bonus! Next week we start on a new topic – living fossils! After a bit of an introduction, we will be looking at a different living fossil each week – look forward to doing it with you! Please continue to comment on how you are enjoying the Fossil on Friday posts. I always appreciate comments and ideas for improvement. And if anyone wants to ask questions, you can do either on the Blog About Britain Facebook Page, or at www.indianajoe.blog. To find out more about fossils and the work I do for Creation Research, go to www.creationresearchuk.com, www.creationresearch.net, and www.genesismuseumofcreation.com.